Double down on whatever you do in the world that’s good, that contributes, that raises standards, that lifts values, that inspires people, and contributes in some way. Our world needs you now more than ever. This is a MUST WATCH episode about the importance of doing GOOD in this world, whether it’s through volunteering to support causes that matter to us, speaking up to promote positivity instead of divisiveness, or even by sharing your work and message more consistently and authentically. I would love for you to double down on your goodness. Double down. Double down on whatever you do in the world that’s good, that contributes, that raises standards, lifts values, inspires people, and contributes in some way. Double down on the commitment, resolve, effort, and frequency—whatever that means to you. You’ve got to find whatever you’re doing in the world that’s good, and double down on it. It doesn’t necessarily mean to double your workload or work hours. It means double down in heart, in commitment, and in excellence for what you are doing. Double down on that consistency and excellence for what you are doing. I don’t know how you feel, but I feel like the world has tilted a little bit. It’s tilted towards the negative, towards chaos, towards apathy, disinterest, judgment, prejudice or hate. A lot of people are drowning in pools of pessimism right now. They don’t believe things are possible or possible for them. Worse, we are also drowning in prejudice. Sometimes, people are unexposed, uneducated, or haven’t worked with a lot of people, so they make assumptions. It’s all this judgment and comparison messaging. So what are we all going to do? 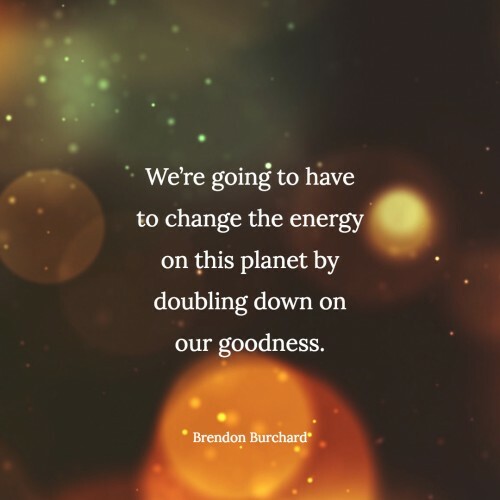 We’re going to have to change the energy on this planet by doubling down on our goodness. 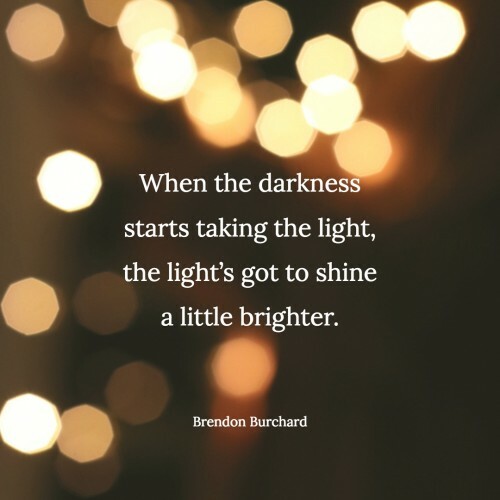 When the darkness starts taking the light, the light’s got to shine a little brighter. Can I get an amen on a Saturday? 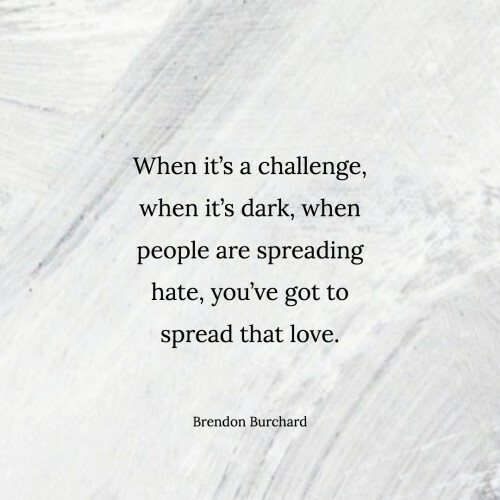 When it’s a challenge, when it’s dark, when people are being stupid or spreading hate, you’ve got to spread that love. I have some simple ideas. What does ‘double down on your goodness’ mean? It can be as simple as doubling the amount of words of encouragement you give to people. Text more people and say you love them. Text more people and say you’re cheering them on. Words of encouragement is a form of spreading goodness! And sometimes it’s not just spreading words of encouragement. It might just be being that person who’s spreading appreciation for others, as Wayne Dyer taught me. It’s taking care of the people who take care of us. I also think we’re going to have to double down on our courage to spread goodness. When you see a wrong happening, you have to call that out. 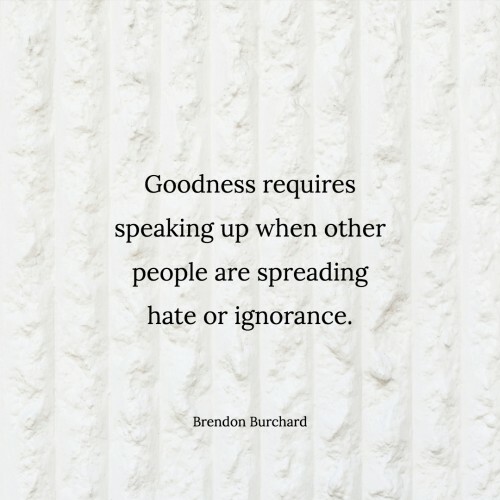 Goodness requires speaking up when other people are spreading hate or ignorance. I think so many people are scared to do that because they’re scared to get in the fray. 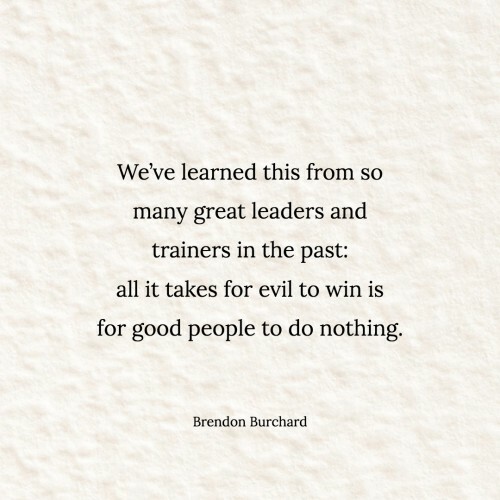 We’ve learned this from so many great leaders and trainers in the past: all it takes for evil to win is for good people to do nothing. I don’t remember who originally said that quote—it’s not mine—but it’s true. Find your own unique thing. Maybe it’s being a good mom. Great! Double down on that. Double down on that connection with those kids and how you care for them and those values you’re sharing with them. Double down. If you make great products that change people’s lives, great! Double down on your commitment, double down on the excellence of that product, double down on those promotions. Go all in. Most people are tiptoeing around their contributions because they don’t know how the world’s going to turn out. They give a little here and think people will judge them, so they pull back. They give a little here and it doesn’t get the momentum they want, so they pull back. So many people are pulling back right now. I’m saying double down. That’s my request to the industry. If you’re an influencer, thought leader, or expert, double down on your goodness. Double down on the intentions, the values, and the standards you’re setting. If you’re a leader right now, double down on being committed to that vision, even though you’re not happy with your employees. Even if you’re not happy with your team or where it’s going, double down on the commitment. You said you wanted it. You raised your hand. You said you wanted to contribute, lead, and change things. Don’t back away just because it got hard. Double down on the goodness. You have to find how you’re going to do that. If you’ve ever wanted to do anything for me or this High Performance Experience community, that is it. Double down on the goodness you are putting in the world. Whatever that means. Whether that’s your work, your contributions, your promotions, or the good messages you’re giving to your kids. Double down, we need you right now! I think one other area we can all double down on—it’s so simple and something we all tend to forget—is our own reverence and appreciation for life. The reason that many people aren’t being as good as they can or spreading the goodness they can, is because they’re taking life for granted. Do you know when people get really nice and kind to each other? It’s when they lose someone, when someone gets sick, or when they felt terrible and now they feel better. All of a sudden they recalibrate and appreciate life. When you really appreciate life, goodness matters. I’m going to share my last little moment of preaching to you today, and I hope you share this particular message with everybody. When you watch this replay on Instagram or Facebook, I hope you share it with everybody. Tell everyone about this and tag them right now. To double down on our goodness, many of us are going to have to double down on our VOLUNTEERISM. We have lost the activism that’s the most basic, fundamental and effective in the world, and it’s volunteering our time and energy towards missions, causes, beliefs and organizations we love. We’re losing members in our volunteer organizations worldwide because so many of us have gotten caught up into, what I call, the selfie generation. I don’t mean an age like millennials. It’s about anyone alive now. We’re in a “selfie” culture right now where it’s about being concerned with how you look versus what the world needs. We’re not even seeing the people struggling around us because we’re on our own path. I think that isolationism, that individualized kind of thinking of being concerned about our own path, on our own thing, can be great at times. Sometimes you’ve got to go within and find the power there. But listen, when you go within to find the power there, don’t miss the people starving right around you. So many people tell me—especially millennials—“Brendon, I don’t feel like I fit in.” I say, “Well, you’re just starting out. Stop wondering so much if you fit in and start asking how can you serve?” The world is in need right now. Double down on your goodness. For those who haven’t volunteered in the last year or two, five, or 10, look outside your own path, your own striving and success, and volunteer. Give your time, energy and effort. Or maybe your way of volunteering is mentoring people. So much of what I do in my career is mentor people. That’s why we do seminars and events. That’s why I do all these free podcasts and broadcasts. I want to be there mentoring people, helping people live a better quality of life, helping them live, love and matter, and to access that High Performance Experience. It’s not easy! But listen, I’m doubling down. Today was my day off. I’m doubling down. I showed up for you guys because I believe in you and I think we’ve got to double down on our goodness, and right now, this is the time. So please share this message with somebody you love. Please share this message with your teams. Go double down on your goodness.